Do not joke with this pretty girl – she is actually a brave medieval warrior. The great battle between the good and the evil will soon start, and she must get ready for it. 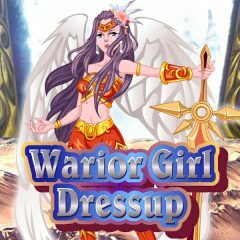 Remember that the girls must look beautiful everywhere, even on the battlefield – thus hurry up!